Based in Massachusetts, Richard Tenorio has been a full-time sports writer and editor since 2002. His sports articles have appeared in the "Daily Item" of Lynn, Mass. Tenorio holds a B.A. in history from Harvard University and an M.S. in journalism from Columbia University. Socialization is “the process by which a human being beginning at infancy acquires the habits, beliefs, and accumulated knowledge of society through education and training for adult status,” according to Merriam-Webster. 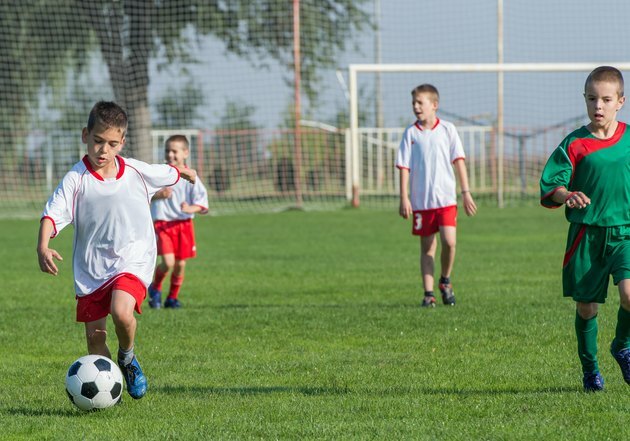 Research suggests sports play both a positive and negative role in socialization, not only between young athletes and their peer group, but also between children and adults. Research also indicates that sports play differing roles in socialization for boys and girls.